Are there any side effects of root canal treatment? Are there any known problems that arise from having a root canal procedure done? We lay out the side effects that patients should be aware of if they are planning to get root canal treatment done. There are quite a few conspiracy theories floating around on the internet about the possible side-effects of getting root canal treatment done. Some of the claims we have seen range from weakened eyesight to cancer. These have nothing to do with any sort of credible scientific evidence and the spread of this misinformation can prevent people from getting timely dental treatment. What about the consensus in the scientific community? Are there any side effects of getting root canal treatment done that patients should be aware of? 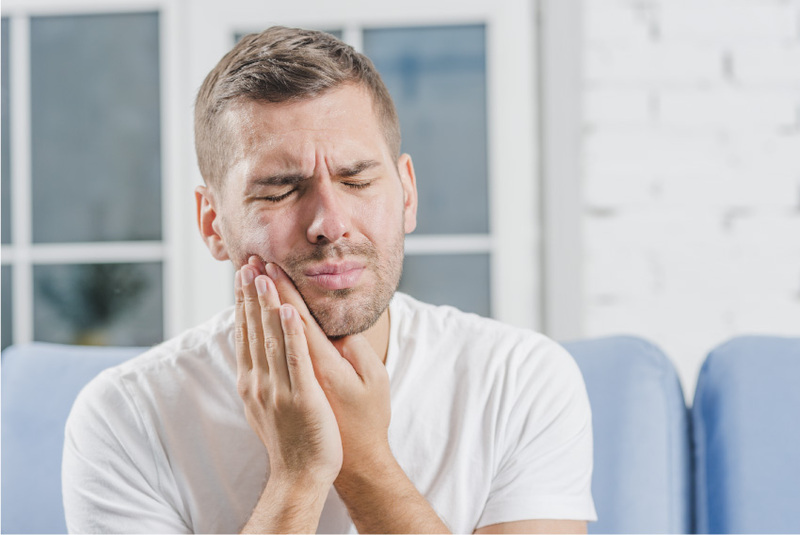 Before we delve into any side effects that root canal treatment may cause, it is important to distinguish between a side effect and an adverse reaction or complication. A side effect is something that is known and expected in delivering a certain kind of therapy . The doctor will judge the benefits of the treatment and weight them with the side effects to decide whether the treatment should be advised. For example, chemotherapy and radiotherapy for the treatment of cancer cause destruction of normal living cells as well resulting in hair loss among other things . This is a side effect. A complication or an adverse reaction is unexpected and not something that is planned for . Root canal treatment that is performed properly does not cause any long lasting side effects or complications. There are some things that the patient should still be aware of, however. Root canal treatment involves the disinfection of the root canal and the removal of all the pulp from the canal chambers. Pulp, found at the center of the tooth in the canals, is full of nerve endings. This is why one of the side effects of getting root canal treatment may be a bit of pain for a few days . In the overwhelming majority of the cases, there is no pain, however, some patients where the infection is severe or the canals are inaccessible may have some pain during the treatment . Any long-standing infection as that can be seen with a dead tooth may flare up when irritated by mechanical cleaning or the chemicals used during the root canal treatment. This can instigate a reaction in the body during which a swelling may appear for a short duration of time . As the infection subsides, with or without the use of antibiotics, the swelling will dissipate. This swelling is also only seen during the time when the root canal treatment is going on. Once the root canal is cleaned, disinfected, and filled, there will be no swelling to worry about. Perhaps the only long term side effect of getting root canal treatment done has to do with the increased brittleness of the treated tooth. Teeth which has been severely decayed are often destroyed quite significantly when the patient walks in for treatment. The procedure for performing the root canal also involves a lot of removal of the tooth structure. This means that by the time the root canal treatment has been completed, the tooth that has been treated is much more prone to fracture than when it began . Now, considering that there is pretty much no alternative to root canal treatment when it comes to trying to save a tooth, the tradeoff seems worth it. Also, since dentists everywhere are well aware of this problem, root canal treatment almost always ends with a cap on top of the tooth to prevent it from fracturing . A root canal treated tooth can become progressively darker over the years . This is usually not a problem because the tooth is covered with an artificial cap but in some cases where the need for a cap was not felt, the change in color can be a problem. Usually, it is just the front teeth where the amount of drilling done into the tooth was minimal where a cap is not advised after the completion of the root canal treatment. This is also why the change in color becomes very apparent . The solution to this problem is also quite straightforward. A crown to cover the darkened tooth can be put at any point in time without any trouble. Once again, the tradeoff between having your own tooth in the mouth or losing it and paying for an expensive implant seems worth it. There are very few long term side effects of root canal treatment and they are limited to the tooth being treated. The whole root canal procedure is limited to the length of the root which is just about 10-14mm in the majority of the population. There should be no part of the root filling which is in contact with the surrounding structure and no chemical used for disinfection goes beyond the limits of the root. These are simple facts which are irrefutable and proven for decades.